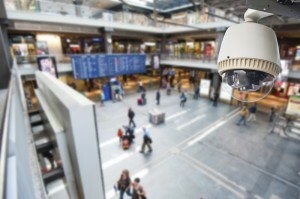 Video surveillance is constantly improving, thanks to technological advancements that are increasing camera performance. And while this increased performance is leading to increased bandwidth requirements, bandwidth capacity is also growing, thanks to the IT industry’s constant investment in improving bandwidth technology. By the time 4k video arrives, IT infrastructure will be well equipped to handle it. Learn more about some of the technological advancements that are resulting in increased security camera performance in this week’ blog. While 4K video is far from being an industry standard, it holds great potential for security purposes. 4K video brings resolution to 8.3 megapixels, which is four times the resolution of 1080p video. 4K video also increases frame rates to 120 fps, a factor of 4 over current rates. As the technology continues to be adopted and becomes mainstream, prices are expected to fall, lowering the barrier to entry. The power of image processing chips (ASICs) increases every 18 months, which means the new generation of chips will be on the market in cameras by the end of this year. Not only do they improve image usability, they also allow more power for video analytics programs, improving their performance. These cameras automatically detect which way they are oriented so they can deliver the image without having to manually program the orientation. This built in leveling-tool uses flashing lights and sounds to inform the installer when the camera is level, which eliminates the need for manual leveling. When a camera’s field of vision contains two highly contrasting lighting conditions (e.g. bright lights and night), it can be difficult for the camera to obtain a usable image. Modern cameras have more processing power which allows them to deliver better images, even in these challenging conditions. Cameras located on surfaces that vibrate tend to produce wobbly images that can be unusable. New image stabilization technology is counteracting vibrations and allowing cameras to deliver more stable, more usable images. Wide-angle lenses traditionally had an issue of images that bent at the edges in order to maintain a needed pixel level. New software can correct this problem, at a much cheaper cost than the old correction method of a special adaptive lens. This entry was posted on Thursday, November 20th, 2014 at 2:57 pm. Both comments and pings are currently closed.